I like being warm, I mean who doesn’t? 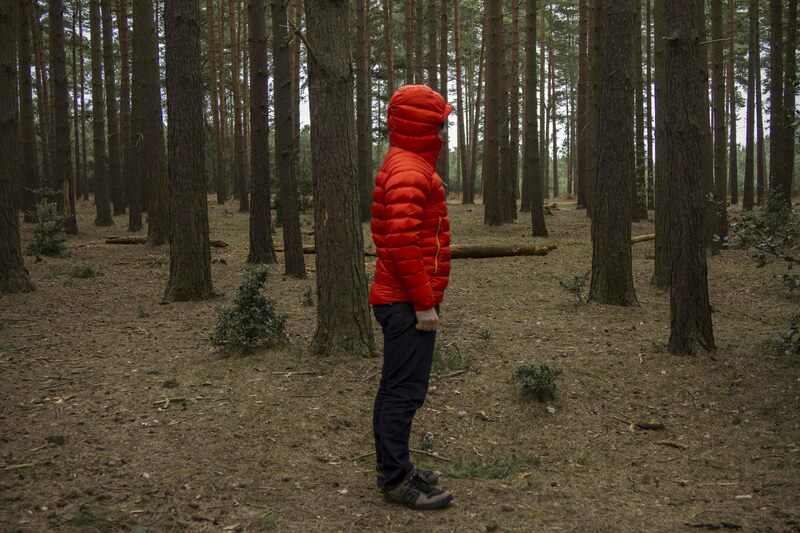 And Rab® have built a reputation over the years for their use of down in sleeping bags and jackets. Micro baffled down jackets are popping up everywhere, what was once a high priced item now see’s high street stores producing cut priced variants. Of course, their quality of down and production cannot be compared to the likes of Rab®. But it raises the question, why has the same not happened to larger jackets? Larger filled down jackets aren’t cheap, the Rab Electron retails at £230 and many go north of this figure. They also are extremely hot, great if you live in the depths of the Scottish highlands, but less so for many other areas. Therefore, the micro baffle is something of a one size fits all product. It can be worn as a midlayer or jacket, providing complete flexibility. However, before you get carried away thinking you wont need a larger jacket, continue to read. 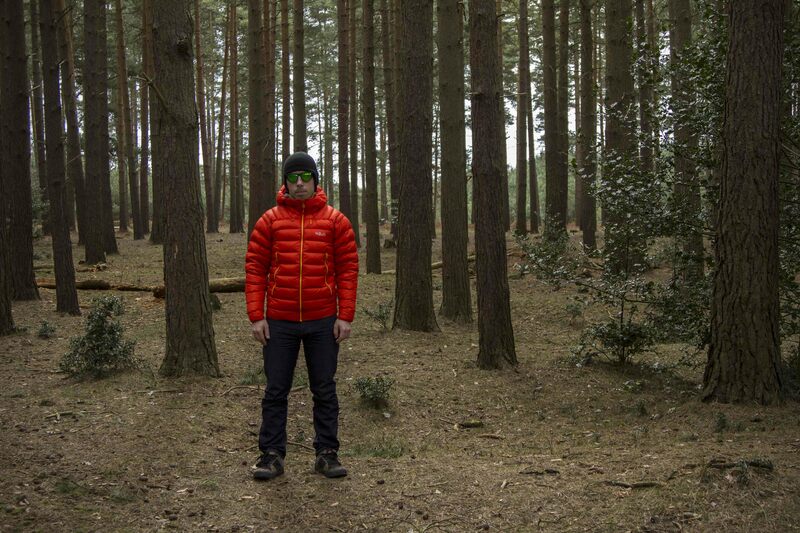 The Rab Electron sits in the sweet spot between micro baffle and full on expedition jacket. Through using 1/3rd more down than its micro equivalent (50g), along with a higher grade, the warmth value is noticeable. Now as far as long term tests goes, this wins the award for the longest period undertaken. I’ve had the Electron since November and it has travelled with me from mountain biking and running in the lakes, covering Kendal Mountain Festival and visiting Stockholm to name but a few adventures. This thing has always been thrown in the car when the weather shows signs of dropping below zero. It’s been glued to me and I’ve put it through sleet storms, high winds and being stuffed into any number of bags for days at a time. It’s orange. I’ve definitely been getting a lot of attention in the Electron and it’s a colour I’ve grown to love. But don’t despair, there are grey and light blue options for those not looking for the “I’m an outdoor pursuits enthusiast” look. So the big questions with a down jacket are is it warm? Yes. Does it migrate down regularly? No. Just how warm is it? Well, that’s not so simple to answer. I was happy to wear the Electron over a t-shirt in the bitter cold weather that hit Kendal Film Festival at the end of November, while my partner had 6 layers, including one down and synthetic jacket. When I took it to Stockholm the following week for a getaway, I lived in it, as temperatures plummeted below zero, combined with a wind chill and rain/sleet. I was VERY glad to have more than a micro baffle. When you cinch down the hems and clamp down the hood, it’s a warm beast than can fit under a hardshell (just) when things get really gnarly. 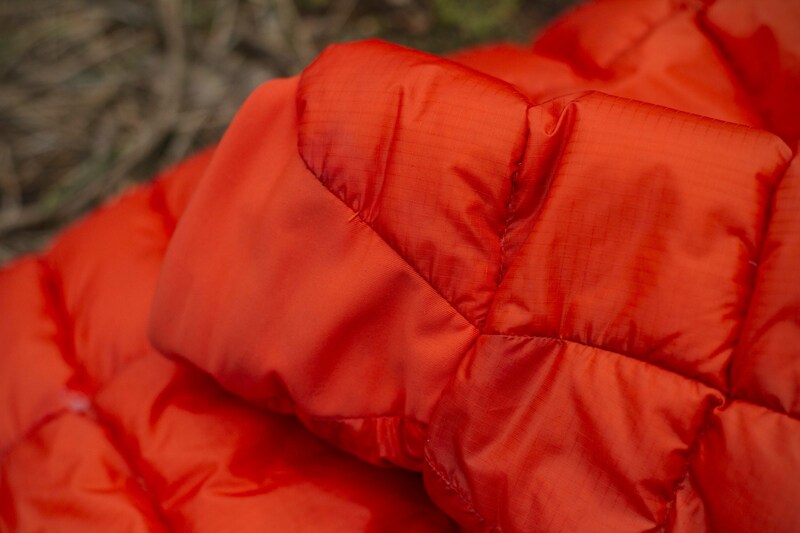 The warmth in the Rab® Electron comes from 190g (size large) of 800FP European Goose Down. In simple terms, the higher the number, the greater the quality and warmth the down provides. For example, 100 grams of 650 fill power has a lower warmth value than 700 fill, and requires a greater quantity to achieve the equivalent warmth value. The down used has another edge, using Rab®’s fluorocarbon free Hydrophobic down which was developed with Nikwax®. Being hydrophobic, it doesn’t absorb water to the same degree as untreated down, allowing it work when wet, generating heat. Now, even with this knowledge, I didn’t want to to get it wet, but thankfully Sweden dished out some pretty bone chilling sleet, breaching the outer and dampening the down. I stayed warm. I’m not about to soak the jacket in a bath and hike to the top of a mountain to check if it does its magic, as in reality, unless there is a flash storm and you don’t have a hardshell, few will venture out into heavy rain in a down jacket. What it did was provide me with the confidence to not run for shelter at the slightest inkling of moisture in the air. These feathers are contained in large stitch through midi baffles on the torso, back and hood, combined with mini stitch through baffles on the arms and sides. Zoning the down with different sized baffles keeps the bulk of warmth around vital organs, whilst providing a better fit and dexterity. Each baffle is wrapped by a layer of Pertex® Endurance as the outer fabric and a RipStop inner fabric, containing the down and limiting down migration. The outer Pertex® Endurance is light and durable, able to take a brush with rocks and hedgerows without a small explosion of feathers erupting in front of you. 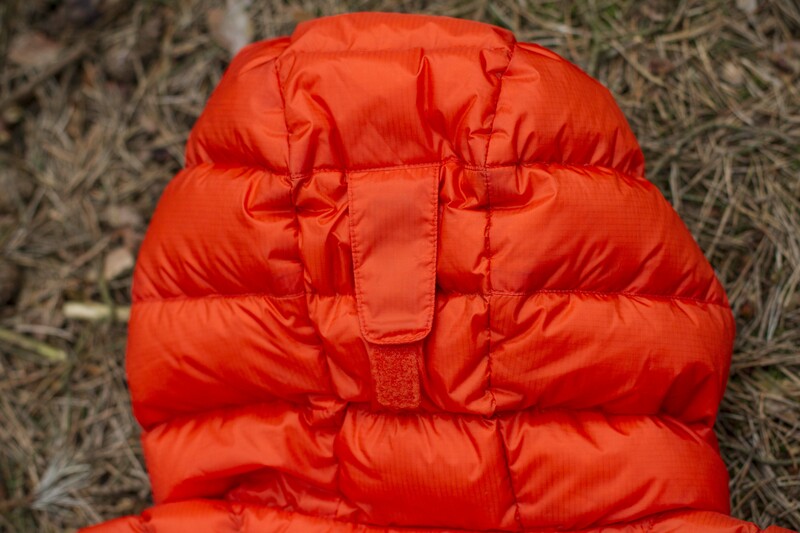 The inner Rip Stop layer is soft against the skin. It is the use of Pertex® which gives the Electron a light weight and its not heavy when worn. The stretch cuffs secure well and not having to contend with Velcro closures with cold hands is appreciated. A helmet compatible hood features an Velcro adjuster on the rear, meaing if you just want to wear a beanie when away from the crag, you can make the most of the warm down filled hood. The wire peak gives some shape and provides an extra layer of protection. The two hand warmer pockets are addictive. I find when ever I’m sat around or walking, my hands naturally find themselves opening the zips and resting in these warm capsules. At £230 SRP, the Rab® Electron is a premium money but with that you get the knowledge and quality which has propelled Rab to a global icon for down products. Warm enough to take on a Scandinavian winter, whilst light and maneuverable allowing you to take on adventures, whether on the fell or sat in location with a camera. 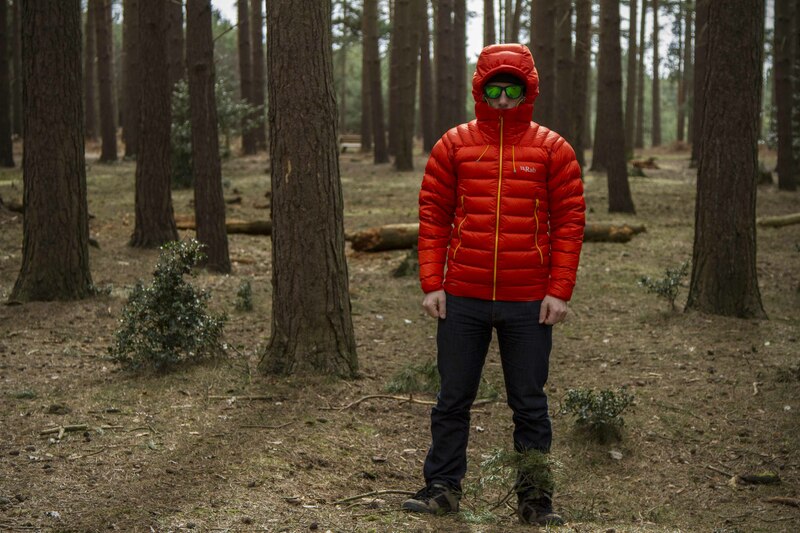 The Rab® Electron is light, warm, durable and bloody comfy. It’s no word of a lie after using it at Kendal Mountain Festival, I bought one in the following days for my partner for the Stockholm trip given her lack heat retention. Well its June and she is still wearing it! I probably should get her temperature regulation looked at by a GP, she just loves it!